It’s not possible to foresee or prevent every eventuality when it comes to driving. However, you can be prepared for the majority of outcomes with a little advance work. 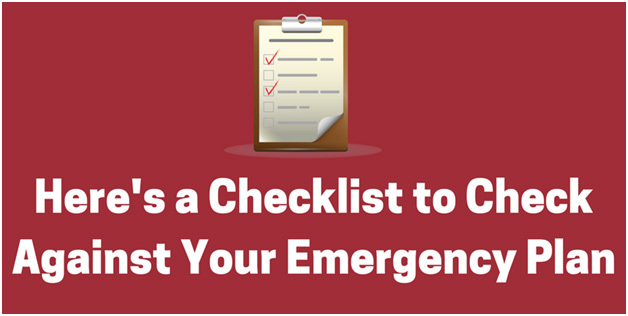 By prepping a car emergency kit for you and your family, you’ll make sure that when an accident happens, or you break down, that you are safe, comfortable, and able to proceed on your way without too much undue hassle. The first item that comes to mind for a hunting expedition is a riffle and a hunting vest, but what about all of the other needed essentials? It’s key to remember that you might be trekking out into the wilderness, and you might find yourself being there longer than expected. So, use this guide to remember the 5 important items that many hunters seem to forget. One of the most often forgotten items is your hunting binoculars. The most obvious reason is that without a pair of good quality binoculars, you might miss some animal at a distance. Forgetting your binoculars means that you may come back with less to show for, making for a less enjoyable hunting trip. But, more importantly, you can use binoculars for navigation, to discern your path and spot sources of water, roads, and civilization at a distance. • Be able to decipher an animal from a rock or foliage (Also, so you know you aren’t shooting at a human!). • See your terrain more clearly to prevent injuries or see signs of animals that the naked eye would not be able to see. • Allows you to spot predators or wildlife you’d rather avoid. Important Features on My Binoculars? You don’t want binoculars that magnify too far or too near. It’s important to get the right set that matches the terrain you will be hunting in. Generally, in wooded terrain you’ll want something with less magnification, such as 8x and in open terrain you can go as high as 12x. You can go higher, but you’ll end up needing a stand or tripod. Staying warm while you are out hunting is crucial for any tracking expedition. Even if you have double checked the weather forecast. It is always safe to stay prepared for unexpected cold fronts. You should keep some cold weather gear in your daypack and take it with you, just in case. If you get disoriented or injured, you might find yourself spending the night in the woods. It doesn’t matter if it’s the middle of the summer or not, it will feel cold when compared to the daytime highs. Also, you can get hypothermia even if it’s as warm as 70 degrees if you are wet and not clothed properly. Which Cold Weather Gear Should I Bring? • Clothing articles that are not made out of cotton as this material absorbs moisture and doesn’t insulate when wet. • Keep your head warm with a hat or beanie while protecting your face with a face mask. • Bring gloves that are not made out of cotton. • Have spare, loosely fitting layers available to add or take away as temperatures change. • Hand warmers that you can keep in your pockets. The fact is you can only carry so much water. If you are unexpectedly stuck in the wilderness for more than a day, you’ll need to find a water source. Since unpurified water can leave you sick, weak, and unable to walk your way out, you need to clean all contaminants from water. The most obvious way to do this is by boiling your water. But, starting a fire is not always practical and in many places there may be a high danger of fire. So, the best option is to bring a water purifier. What Can I Use a Water Purifier On? With a water purifier at your disposal, you can obtain water from the environment around you. This includes water from a creek or any other wild body of water. There are different types of water purifiers that you can purchase for your next trip. Each type will have pros and cons and you should weigh what you need vs their price and other features. Although we tend to use GPS to get around these days, it still is important to carry another location device such as a compass. Hunters are frequently out in the middle of nowhere to find the best prey, putting themselves in risk of either their phone losing service, getting destroyed, or running out of battery. There are a variety of compasses based on how you plan to use them and the difficulty of the terrain you will be in. A topographical map is a detailed and accurate representation of two-dimensional features on the Earth’s surface that are natural and human-made. It will allow you to know the features of the surround area without being able to actually see them. According to Real Tree, topographical maps are an essential when hunting out in an area that is less familiar. You can even use these maps to locate deer travel corridors. More importantly, even if you get completely lost or disoriented, you can figure out where you are and navigate back to safety. There are plenty of stories of people who have got lost and died less than a mile from well worn trails, you don’t want to be one of them. So, bring a compass and a map. How Can I Read One? Topographical maps can be confusing to read without the proper training. You’ll want to spend some time learning the major and minor terrain features, how to convert from grid to magnetic north, and how to determine your exact location in a variety of ways. Hunting expeditions lead one far away from civilization, making it a priority to pack properly. While there are probably 100 different things you might want to take, you have to balance between necessity and your ability to carry it. Regardless of what you do or do not bring, make sure you have these 5 items. Today, there are a lot of non-lethal and legal self-defense weapons that can be easily concealed. Try looking for the best stun gun to suit your needs. Owning a mini taser or a stun gun is a great way to protect yourself without resorting to using lethal methods. Unlike using a gun, which can potentially cause permanent harm and even kill, stun guns won’t cause any serious harm to your assailant. Also, you don’t need to have perfect aim when using a stun gun, you can put your attacker to a halt just by tazing a part of their skin. Another small and useful self-defense item is a pepper spray. It’s a handy thing to have especially for women and elderly living in a rough neighborhood. Pepper spray works by instantly inflaming the mucous membranes of the attacker’s eyes and nose, causing them to close their eyes and wince in pain at the sudden onslaught and the pungent smell. This immediate incapacitation allows you to run to safety and seek cover. One last recommendation in the small and stealthy category that doesn’t require mad martial arts skills is a self-defense keychain, or a personal alarm. It’s small and can be carried anywhere. And in times of danger you can press it to let out a shrieking 130 decibels sound that will surely gather attention and turn your assailants around. Aside from equipping your loved ones with all these small and fancy self-defense tools, it’s also important to educate them about violence, its prevalence, and how to react to them. It’s not enough than they can protect themselves, they must also know what to do next should any unfortunate thing happen their way. Violent attacks can be traumatic for a lot of people, even if they’ve escaped it. Knowing how to deal with such incidents will help them cope better and live well. Surviving an assault, a robbery, or a mugging immediately causes shock to the victim. They can feel dazed and even detached from the environment for a while, some even experience denial. There’s a mix of feelings victims feel after the event, depends on how they react they can feel frightened, angry, and helpless. Yet some feel sad, ashamed, and guilty. It’s one thing to know how to protect yourself and it’s another to know how to react to attacks. But it’s also another to encourage awareness that as much as violence should be prevented, attacks are prevalent and you should be able to protect yourself. Encourage your loved ones to report any instance of violence they encounter, whether or not they’re directly involved. Cases of domestic violence, bullying, and sexual assaults should not be tolerated and should be handled by authorities. Nowadays, lots of outdoor sport events are held, mostly in sports clubs, ranches, etc. The easiest way to find out about such events is through the internet, mostly social media platforms. This can be a great way to learn about these kind of sports especially because you will participate and a lot of people attend these kind of events. What’s more, there are usually multiple sports taking place with competition and this makes it even more fun. Hiking, rock climbing, skydiving and the other outdoor sports don’t sound fun to some people. So, instead of going for the actual rock climbing -or any of the outdoor sports- try indoor rock climbing first. Although it may not provide the same experience as the actual rock climbing, it may just ignite the interest you never knew you had. Also, it is a fun and easier way to learn about the actual outdoor sports. Most of these store owners are professionals so, this way you learn about both the sport and gear from an expert. Also, you may have wanted to get gear for an outdoor activity you are interested in, for example hunting. You learn about the gear you want in depth and specificity for instance; the best rifle for squirrel hunting or the best bow for deer hunting, etc. Instead of you and your friends going out next time, suggest that you go for a forest hike or for biking. It is even a lot more fun when with friends than strangers and the more you take part in them, the more you learn about them. Also, don’t go for the same sports every time, try different ones. As long as your friends are for it, you will actually want to engage in them as compared to when you are alone. When trying to learn, you can never go wrong with the internet. Even though participating may be an excellent way to learn about outdoor sports, you don’t have to go that way. You can browse the internet and get all the information you require about a particular outdoor sport. You even get to know about the best places and terrains to go for the sports and the safety measures and precautions to take. Afterward, you can engage in the sport whenever you have free time. Outdoor sports can be hectic if not well prepared for. Preparation is not only physically, but also mentally. So, if you intent to fully engage in these kind of sports then prepare well and don’t forget to get in condition. The average human can live up to three weeks sans food, but only three days without water. That said, the items that you include in your emergency survival kit, whether for venturing into the wilderness or for urban readiness, can spell life and death. Fortunately, you don’t have to be in a situation where you are left with no choice. You can increase your chances of surviving in almost any situation, provided that you have the right tools. Ideally, the more items you have in your tactical survival gear, the easier it will be for you to survive. However, it also means that you add weight or bulk to your pack. While you obviously cannot carry your entire arsenal with you at all times (you’re not The Terminator), you can certainly select specific sets for different scenarios. There are also core tools that should also be present no matter the situation. Here are five of these essentials. In a true survival situation, the chances of you needing to cut something are very high. Thus, you need a reliable knife that’s easy to handle, strong, and razor sharp. You will likely be using it for various purposes, so in place of getting a singular unit, you might want to have a multi-tool that also includes a knife feature. Fire in the wilderness or in the evenings is essential to maintaining your core body temperature (or to cook). Remember that it takes only 3 hours for the body to survive outside of its base temp. Having a trusty gadget takes the effort out of rubbing sticks together. Your kit should have three ways to start a fire. One is an automatic Firestarter, two is a regular box of matches, and three is a striker. Don’t forget to pack them in waterproof packs and separately. This is a critical kit that should be with you at all times. There are plenty of generic first aid kits at supermarkets, but you can expand them with pressure dressings and probably a compass, too. Study the pocket manual that came with the kit before you even head out, so you know what to do instantly and will not fumble when an actual emergency happens. No person can survive without water for more than 72 hours. Under non-threatening circumstances, an average human should also be drinking at least 1 gallon of water daily. Having a water bottle or a water filtration system ready ensures that you have access to safe drinking water at all times. It is especially helpful if you’re going on an adventure with a group because water in this setup can easily run out, and you might need to take some from an organic source. Let there be light! Whether for venturing into an unfamiliar territory or walking at night, you will need light to navigate. Fortunately, there are many models that offer powerful illumination even with very small and lightweight bodies. Of course, the most important tool you should have no matter where you are going is knowledge. Without knowing how to use any of these items, your chances of surviving are slim. Equip yourself with the ability to read weather signs, where to go and what to do in case of a natural disaster, what areas to avoid to secure your safety, and more. There are plenty of online resources and books that will teach you different tactics on how to protect yourself, whether in the wild, when out in the city, or even when you’re just at home. 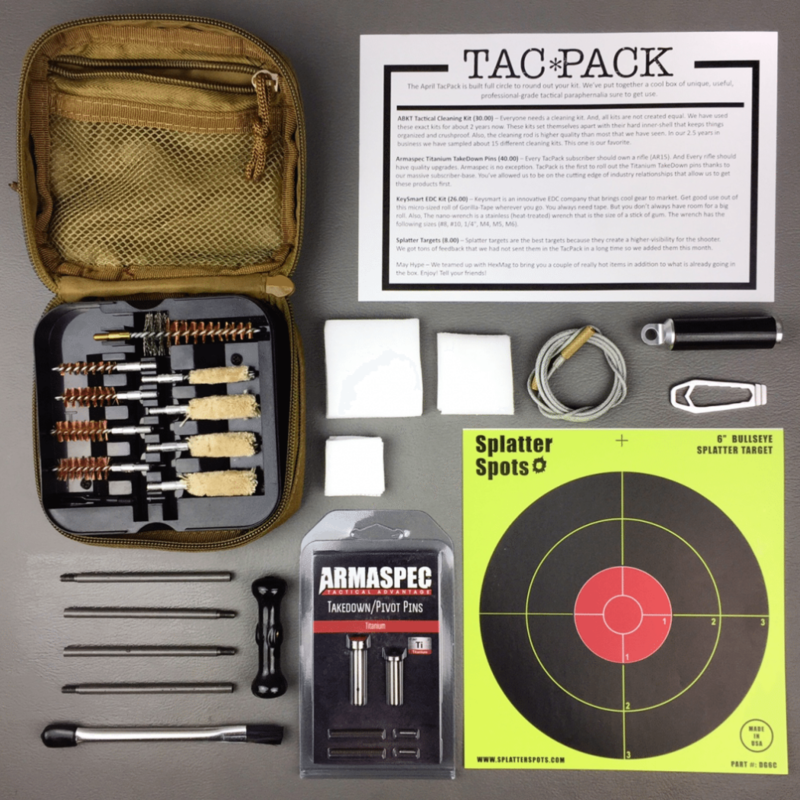 The monthly gear from TacPack also offers the latest gadgets and innovations that can help make you feel safer everywhere you go, without being heavy on the back and on the budget. Hunters and people who love the game of archery will need a bow, obviously. The question in their head as they shop may be which one would suit them best. Is it the crossbow or the compound bow? Archery sport helps players develop various qualities within them. For instance, since you will learn to shoot at multiple targets, you will need to have some level of focus. Therefore, these people are keen when they perform other tasks. Today we will analyze different pros, cons of the crossbow, and the compound bow. This modern bow works precisely as a rifle. It consists of distinct features that make it stand out and increase its power. The hunter will hold it in a horizontal position when aiming at specific targets. Hunters love a tool that is quick in function. One benefit that the crossbow features is that you do not need hours to practice shooting at a target. As mentioned earlier, it works exactly like a rifle; therefore, you only need to press the trigger to release the arrow. People with disabilities can use the bow since you do not require both hands necessarily. Once you release the trigger, the shaft moves at lightning speed. Within a few milliseconds, the arrow can dig deep into the target’s surface or animal skin. The user has to use a lot of force to remove the arrow from the surface that it strikes. The bow has a scope fitted at the top for the user to aim the target with. This means that you do not spend a lot of time trying to point at the game or prey. The scope also assists when the light conditions are poor. For this reason, many people rely on this tool, especially when hunting. The bow is heavy. It becomes a problem when you have to carry it for longer distances. The bow releases some noise once you press the trigger, which distracts preys if you are aiming at more than one. Some states limit the use of crossbows. Users need to check with their state laws to see if they need to acquire a license to use one within the state boundaries. This is also a modern bow. The user will hold it in a vertical position when aiming at a target. You will also need to pull the string to release the arrow, unlike the crossbow where you just press the trigger. It is ideal for people who are learning how to aim and shoot. While you do this, it helps to develop your focus. The bow is not noisy. 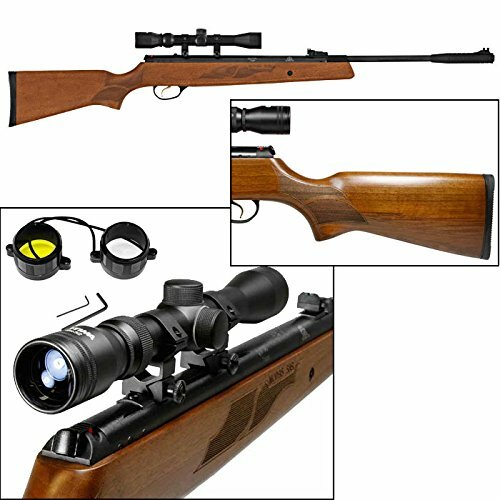 This is suitable for hunters because you have the liberty of shooting at more animals without distracting other prey around it. Most love it because it is light. It has additional straps that ease the weight, especially when walking for long distances. People use much time learning how to aim. This would be a significant disadvantage for beginners. You also have to learn how to focus when aiming at your target as well. They are not as powerful. Most people prefer to use the bow for the sport rather than hunting. The strength you apply on the string determines the distance that the arrow travels. Compound bows are not suitable for individuals with disabilities. Additionally, if you have an injured arm, it would be difficult to handle the bow. The type of bow you choose depends on your preference. Check www.archery-den.com/best-crossbows/ to see the most suitable bow for you. You will find a variety of bows to pick depending on your budget. Hunting is a favorite pastime of many. In fact, people have been hunting for years and it is a sport that has been able to bring family members together for centuries. In addition to bringing people together, hunting provides a great deal of food for one’s family and also helps the environment with natural population control. While there will always be some that do not believe in the hunt, there are cultures that rely on it for survival and see it as a way of life. 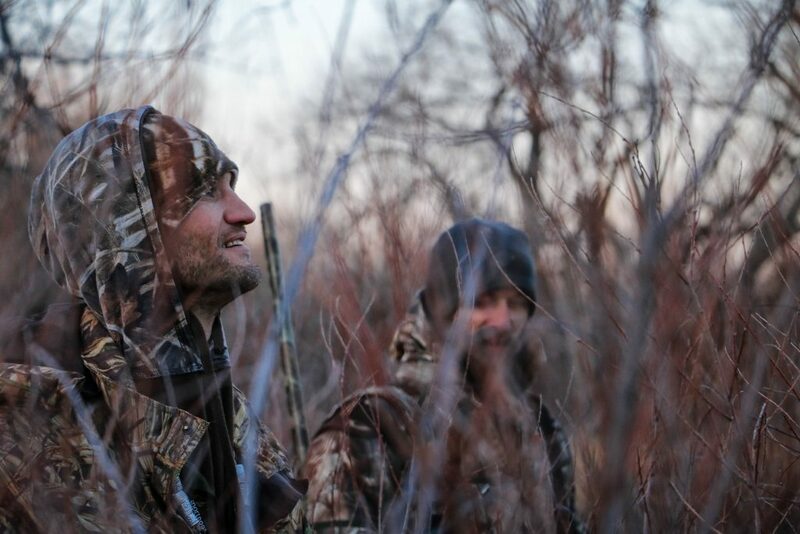 If you have never gone hunting before, this article will provide some tips to help you learn how to hunt. Slow and steady wins the race. No matter what you are hunting for, it is important to be slow and steady in your approach. The reason for this is that animals have a keen sense of smell and can hear things from farther away than humans can. New hunters tend to find the notion of staying still and moving slow to be a hard concept to grasp at first. One of the best ways to get the hang of being still or moving slow is to use your watch. Find a place to perch or hide and stay there for at least 5 minutes before you decide to slowly creep to another area. Stop when you hear noise. Whether you hear a deer, squirrel, or a group of ducks, when you hear a noise, it is best to stop and be still for a few minutes. When you stop and can be still, you can take in what is going on around you. If you make a sound and an animal is around, they will stand still and look around for a period of time. 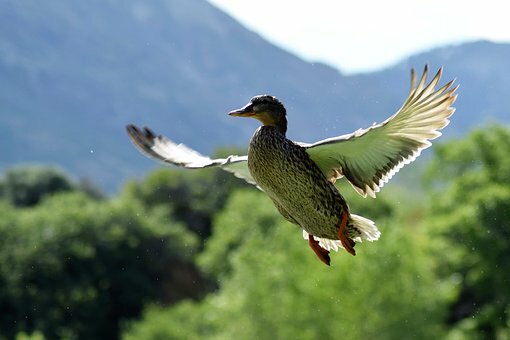 A duck may fly off into the distance while alerting others of the same species. The environment can make a difference. Whether you choose to hunt during the day or in the early morning hours, the environment in which you seek animals or ducks makes a big difference. For example, if you are seeking out a duck, check to see which direction the wind is blowing. In addition, look for water holes as ducks are typically attracted to them. Setting up decoy ducks and using a good set of waders are important recommended tips for hunting ducks that should not be overlooked. Bring proper tools. When hunting, it is important to field dress your prey right away or you will risk spoiling the meat. This is particularly true for deer meat but also for other smaller game. Make sure to bring along a pair of skinning shears as you should skin the fur off of smaller animals such as a rabbit or a squirrel as soon as you kill it. The reason for this is that the fur will come off easier when the animal is still warm. One of the most important reasons to handle this right away is that many animals carry fleas. Fleas can carry disease. When you skin the animal, you can get rid of the fleas before it has time to attach to the meat. Dress warm and bring a canteen. It is important to dress for the weather and stay hydrated while you are out hunting. If you are out hunting for a full day you don’t want to get cold or dehydrated. Make sure you wear enough layers and bring waterproof clothing if you think there may be a chance of rain. It’s alway a good idea to workout how much fluid you need for the amount of hours you intend on hunting and pack appropriately. Just how prepared are you when it comes to disaster management? You may never experience a disaster, but it doesn’t hurt to be prepared. If not well equipped, disasters may strike, and you will be left without a contingency plan to curb them. 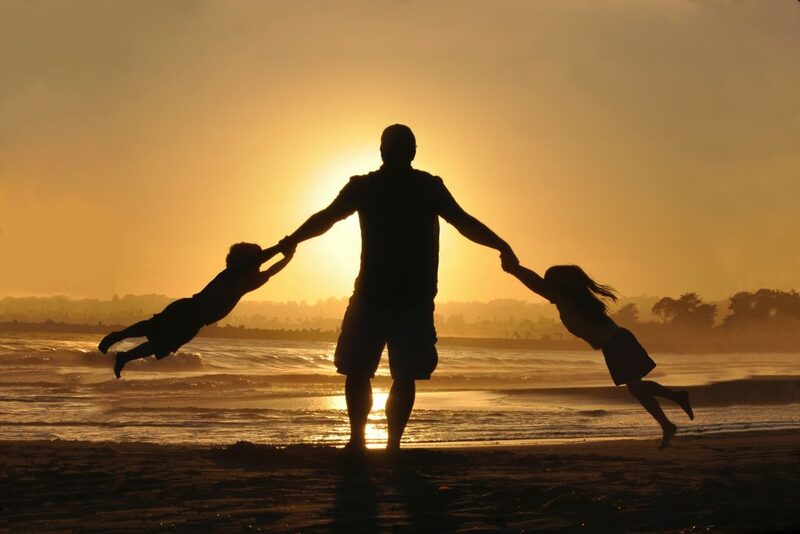 It is highly essential that you come up with an emergency plan for your family. One of the deadliest hurricanes in history is Hurricane Katrina which left over 1,200 people dead in August 2005. Such occurrences are quite scary. However, as rare and horrific as they might be to ponder, you need to be prepared when they occur. What you need is a disaster preparedness plan to help you get through such periods. Before coming up with a plan, have a sit-down with your family and discuss some of the ways you can become prepare for this type of situation. Take a critical look at the possible threats to devise a comprehensive plan. Preplanning helps to bring to light some of the resources you may not have on hand. This ensures that you purchase them before anything happens. Why should people take emergency plans seriously? They prevent possible injuries, damages and help in increasing the chances of survival after an occurrence. Some of the things that should be in your family emergency plan are as follows. Contacts are an essential requirement. Analyze all of your relatives and decide on one your family can all share as a common emergency contact. As you choose, ensure that the relative is not likely to be affected by some of the occurrences in your area. Once completed, confirm that each of your family members has the relative’s contact information. Ensure that your kids have the contact information as well and if possible, leave the contacts with school management. Also, ensure that there is an email attached to the contacts, so they have alternative ways to get ahold of the family member. Also, keep your documents safe for disaster times. 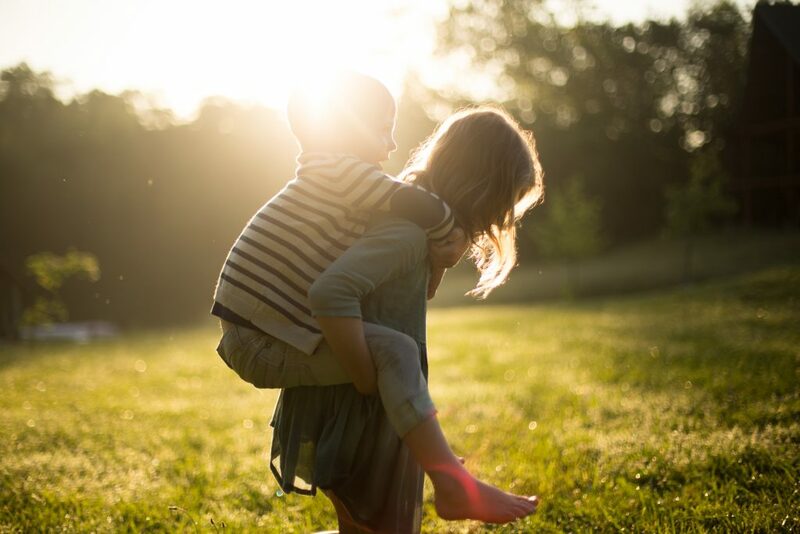 As a family, being in one place after disaster strikes will reduce stress levels and ensure that everyone is out of harm’s way. Determine a drill where you identify one common location scheduled as a meeting point when any disaster happens. 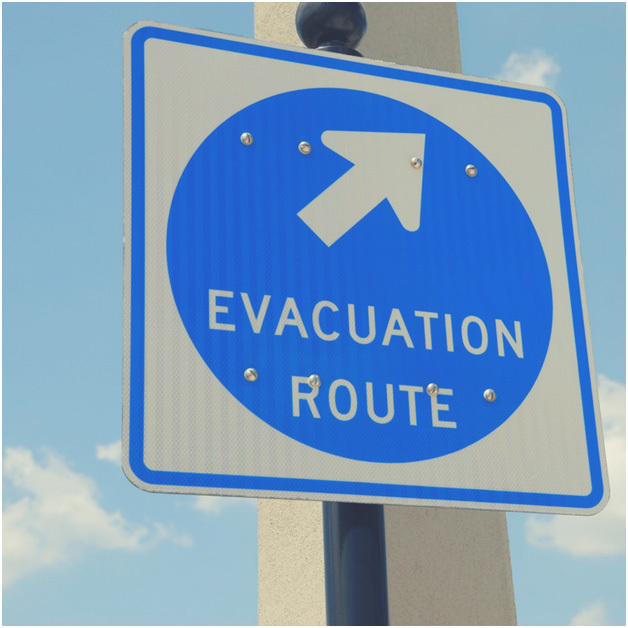 Practice emergency situations and have a defined route available, especially for children. A meeting point will help in reconnecting so that you can plan the next action as a family without the disorientation of looking for other members. A useful tip would be for every family to note down the specific location for easier tracing. When disasters happen, it’s normal to have accidents. It could be just a regular power outage that if not well prepared for, could cause significant hiccups. In such a case, have rechargeable batteries that will provide a temporary lighting solution. Create an emergency kit that contains a series of first aid supplies as well as other preventive measures. 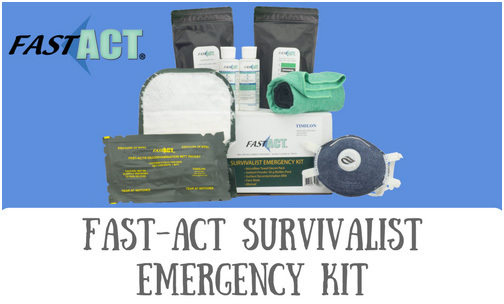 The FAST-ACT Chemical Decontamination products can keep you safe and prepared in the event that a chemical attack was to occur. There should be a substantial amount of water and food in your kit for survival. Have food supplies that can last you for about a week or even more. The kit should also have enough necessary medical supplies for every member of your family. Sometimes, during floods or occurrences of seismic forces, a family member may not have reached home and may be in danger. What comes to mind first? Calling them is the first option but what happens when their phone has been turned off? Have a photo of them so that you can ask nearby civilians or emergency crew for increased chances of tracing them. In this modern age, everybody deserves to have a power bank. It does not matter if you have a 10,000 mAh; it will still go off at some point. To make sure that does not happen, always ensure that you have a power bank on hand; it will definitely come in handy to recharge a dead phone. It will even help in contacting 911 or an emergency response team. As much as emergencies are rapid, some events can never be predicted. Research more on the possible hazards around your region so that you have a contingency plan when they occur. This does not necessarily mean you prepare for the specific risk alone. If preferred, consult engineering experts or fire departments for a more precise picture of potential environmental hazards. A vulnerability assessment will help you feel a level of certainty in preparation. With such an evaluation, your plan is complete as you will have tackled significant possibilities. It’s possible that due to work and family obligations, you may not often talk with your neighbors. However, it’s important to keep in touch because when a disaster strikes, you will need their help. You may introduce walkie-talkies so that you can communicate in case your phone goes off. Neighbors are an asset in the emergency plan as they are close by and if you get stranded, they may just be the most immediate help available. Contacting neighbors comes in handy when you desperately need help that can’t wait. Communication is one of the critical essentials of an emergency plan. Keeping everyone informed is necessary so that you all are on the same page. The program devised may involve planning for evacuation in extreme situations. Put that in mind as you come up with the plan. It’s important to keep your verification documents in a waterproof safety box and if possible, make copies too.